The Sync to Web button is located on the right side of each folder or album header. When you click this button, you'll first be prompted to upload the photos in that folder or album to Picasa Web Albums. You can change the upload size, album privacy setting, or even add a watermark to your uploaded photos. 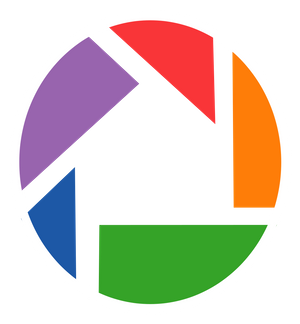 When the upload is complete, any subsequent Picasa 3 edits to those photos will automatically transfer to your online album. Always want to be airbrushed? Use the Retouch tool to remove unsightly blemishes and improve photo quality. It can also help you to restore old photos with marks, water stains, and scratches to excellent condition. When editing any photo, just click the Retouch button on the 'Basic Fixes' tab. Adjust the size of your brush, and use the mouse scroll wheel to zoom in and out of the photo for precise edits. Click once to highlight the area you'd like to retouch, and then find another portion of the picture that should take the place of your highlighted area. Hover over this replacement area and click a second time. Click the Tools menu in Picasa 3, select Options, then click the Web Albums tab. Select the option labeled 'Add a watermark for all uploads.' Type the text for the watermark in the field below the option. When you click the Export button in the Photo Tray, you can select the 'Add a watermark' checkbox to include a watermark on your exported images. Type the text for the watermark in the field below the option. Use the Text tool to add text quickly and easily to your photographs; you can even print the result. You can edit the style, size, color, and alignment of the text, as well as drag it to your desired location on the photo. When editing a photo, click the Text button on the 'Basic Fixes' tab to access the tool. Do you want to add the same text to multiple photos? From the main Library view, click the Edit menu and select Copy Text to copy the text you've placed on one photo. Then select Paste text to apply it to all other selected photos. The text change isn't permanent. Once you've added your text, you'll see a 'Show Text' checkbox on the 'Basic Fixes' tab for that image. Deselect the checkbox and the text will disappear. Your captions are about to see a little more action. You can now print your captions or photo file names on or below your photos. Control the style and color of your printed caption, in addition to the width and color of the printed photo border. After you've selected the photos you'd like to print, click the Print button in the Photo Tray. Click the Border and Text Options button to add borders and adjust the style and placement of your printed text. Click Apply to preview your work, and OK to accept the changes. Use the Drop Box to hold quic k uploads and upload throttling to multi-task during your upload. The Drop Box is an online album that serves as a holding pen for your quick uploads. Click the Upload to your Web Albums DropBox button located above your photo on the 'Edit Photo' screen to upload a single picture directly to your Picasa Web Albums Drop Box. You can choose to have Picasa 3 reserve some of your Internet bandwidth for surfing the Web while you're doing large uploads to Picasa Web Albums. During your upload, the dialog box will have an option labeled 'Don't eat all my bandwidth.' Just select this checkbox, and then continue multi-tasking. If you have an online album in Picasa Web Albums, you can now control the online settings through the corresponding folder or album in Picasa 3. Adjust the privacy of your online album. Change the online image size. Sync your edits to your online album. You can also choose to apply 'Sync to Web' to starred photos only. Use 'Refresh Online Status' to pull your captions, tags, and geotags that you've added in Picasa Web Albums down to your photos in Picasa. The button's only available for folders or albums that have been uploaded to Picasa Web Albums. You must be signed in to your Google Account for Picasa Web Albums. You can sign in by clicking Sign in to Web Albums in the upper-right corner of Picasa 3. It's now possible to move entire folders around on your hard drive from within Picasa 3. From the folder list, right-click the folder you'd like to move, and select Move folder. Choose your desired destination or create a new folder altogether. These moves are permanent on your hard drive, so make sure you properly stow your folders. We've added new icons and tools to the Library view to quickly communicate useful information about your photos.